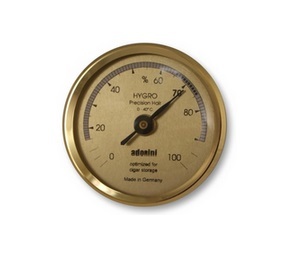 Size: The Adorini Hair Hygrometer has a diameter of 6 cm (outside), an installation diameter of 5cm, a height of 2 cm and a weight of 0,06 kg. 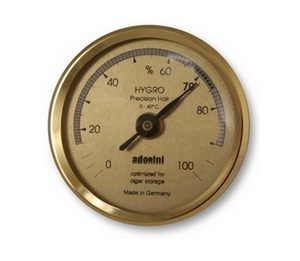 Size: The Adorini Hairhygrometer has an installation diameter of 3.9 cm, diameter (outside) of 4.5 cm and a height of 2.2 cm. 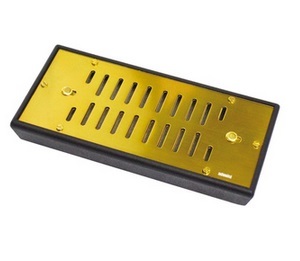 Size: Dimensions of the Adorini Deluxe humidifier are L: 15,8 cm B: 7,4 cm H: 2,1 cm.